Great teams thrive by working together, but that doesn&apos;t always come naturally even with extended time on the practice field and during in-game competition. 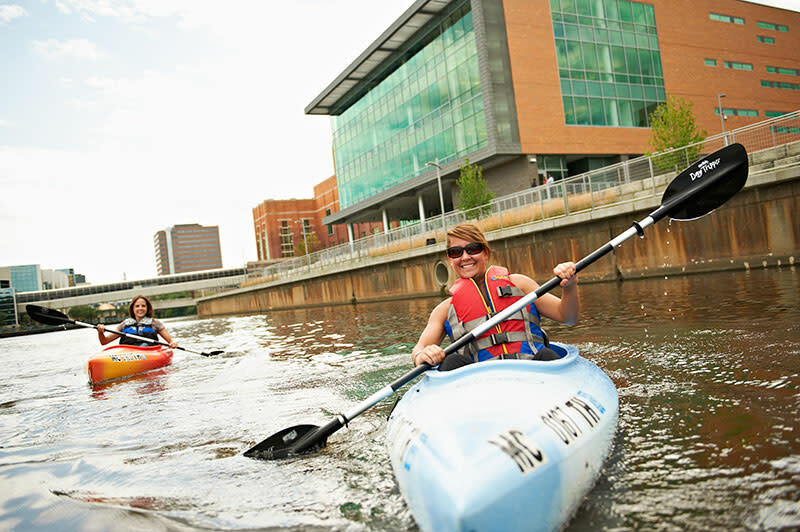 On your visit to Lansing, we want you to play hard, but we also think it&apos;s an awesome opportunity to check out area attractions to foster team unity. Coaches know teams that achieve a locker room chemistry in which they are willing to work for and push each other are almost always more successful than a divided group. Step off the court, field or ice to cool some of those competitive jets that fire the athletes who have come to mid-Michigan. Impression 5 Science Center speaks to people of all ages with a 25,000-square-foot exhibit area and dozens of activities that engage the five senses. The center has a chemistry lab that hosts slime workshops and a variety of demonstrations that are cool and educational. The center routinely pulls in national attractions, including a recent Hot Wheels exhibit that thrilled children and parents alike. OK, we won&apos;t take all competition off the table, but we can at least change the activity and let your team decide what they want to play. 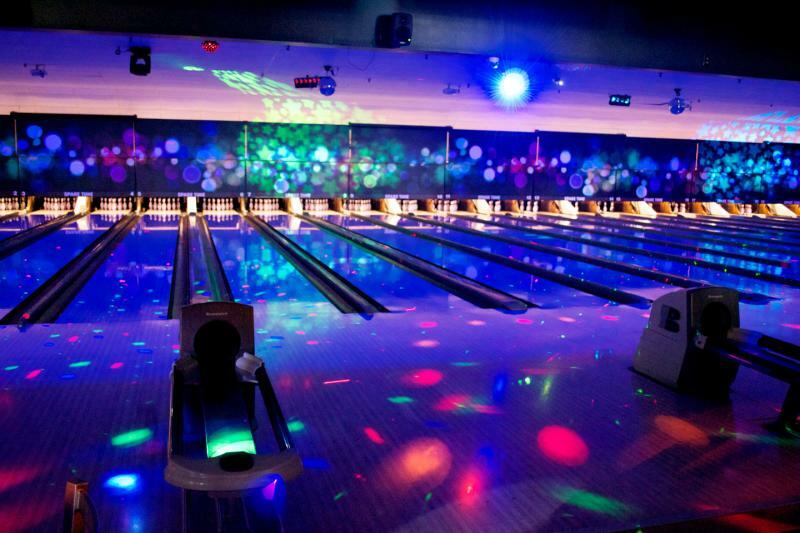 Lansing&apos;s Spare Time entertainment center lets players, coaches and parents unwind with bowling, laser tag and bumper cars. Spare Time also has fowling, a game that is growing in popularity by combining football and bowling. The challenge is for participants to go for a strike by throwing a football. If you want to let your body rest, check out the expansive arcade options. One of the best ways to slow down and bond is to get outside and Ingham County&apos;s Burchfield Park puts you in position to do just that. Your squad can explore the woods, rent a kayak or canoe and float down the scenic Grand River, or play disc golf on two 18-hole courses. Burchfield is also a winter wonderland for cross-country skiing and sledding. 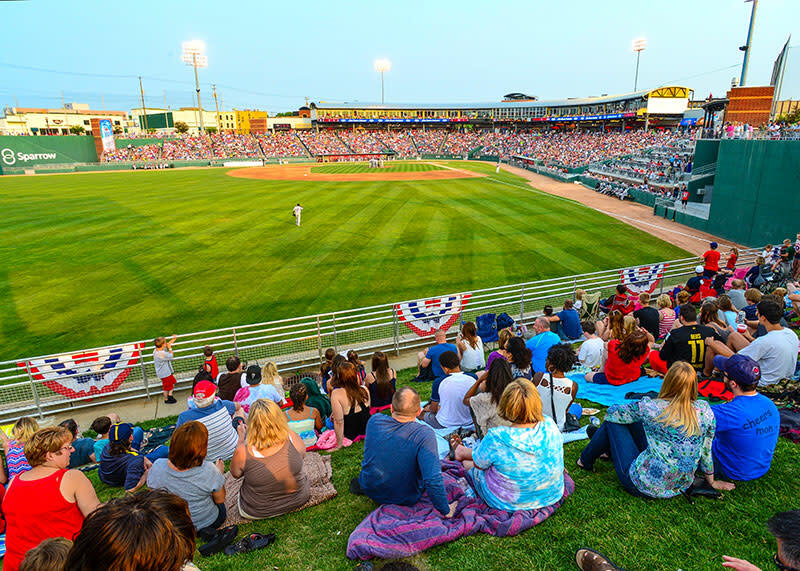 If you&apos;re not playing sports, how about watching aspiring professionals in the fun, relaxing atmosphere of Cooley Law School Stadium, which is across the street from the Greater Lansing Visitors Center office downtown. The Lansing Lugnuts are a Class-A affiliate of the Toronto Blue Jays and future All-Stars including Carlos Beltran and Noah Syndergaard have called mid-Michigan home. There are sports landmarks all across East Lansing, the home of the Michigan State University Spartans. Check out the statue of college and NBA legend Earvin "Magic" Johnson in front of the Breslin Center and visit the photo-favorite Spartan statue. Historic buildings, the winding Red Cedar River and all Michigan State has to offer is on display either on self-guided hikes or an official visit that you can schedule here. Unique to Lansing gifts, food and souvenirs are available at this river&apos;s edge downtown mainstay. The market is often a hangout hotspot for daytime and evening community events that appeal to locals and out-of-town guests. Another perk: Many of the attractions, which often include movies, live DJs and a scavenger hunt races, are free.